Before the advent of the internet film fans, returning from the cinema, were quick to pick up their quills pens and send off their exclamations to their favourite dedicated sci-fi magazines. 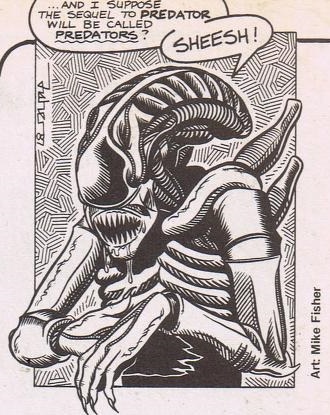 James Cameron’s Aliens, being no exception, was equally lauded and criticised in the letters pages, which were published in Starlog #116 in March 1987. Strangely enough, amused readers later found Cameron responding to their praise and queries, but largely their criticisms and a few assumptions. His responses were published as a feature in #125. Cameron’s essay is widely available online, but I’ve decided to add it to Strange Shapes for completions sake. I have also included the letters to which Cameron is replying. 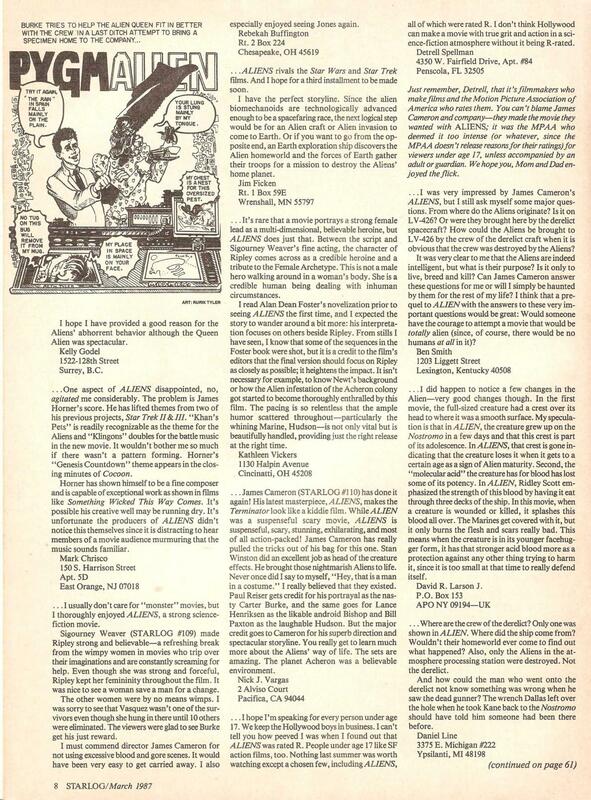 On another battlefront, not so long ago, Starlog received a fascinating letter from James Cameron , the filmmaker behind Aliens. He was, in fact, responding to reader letters from the previous Starlogs. 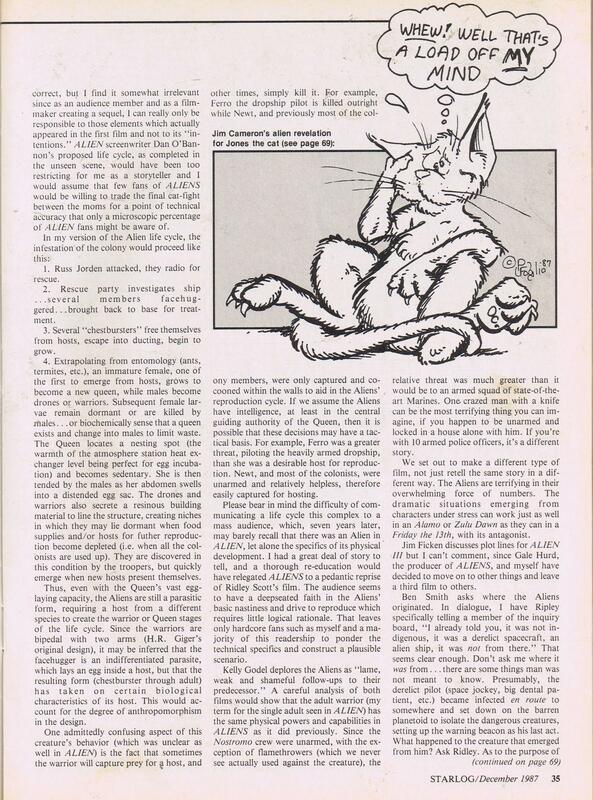 We’re publishing his remarks in full with spiffy illustrations by that famed Gang of One, Hugo-winning cartoonist Phil Foglio. Spiffy? Sorry, Phil. I’m running out of adjectives. 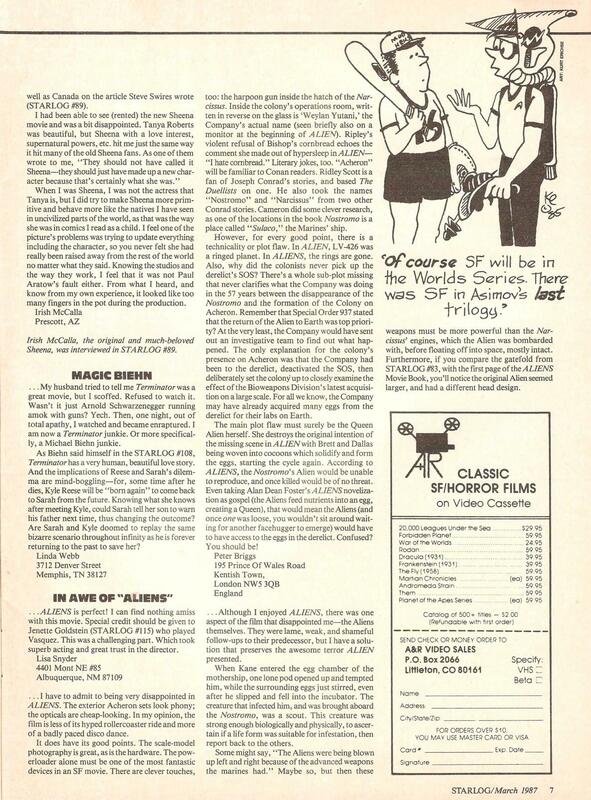 ~ Starlog #125, editorial liner notes. The first letter he responds to is by ‘Peter Briggs’. Presumably not the Peter Briggs who wrote the original AVP movie script! Wouldn’t that be an interesting turn of events! It is the same Briggs. He was obsessed with believing he was the final authority on all things Alien related and later Predator. He still bangs on about this stuff on his Facebook never missing a chance to act like could make any film better with his vast and extensive back catalogue (story credit on Hellboy and a number of hilariously bad fan fiction spec scripts based on various classic film characters) and sneer at other filmmakers. Hmmm, wonder why he struggled to find work in the industry? he is 100% deluded. Aaah, so that’s why the AvP film script felt like it was written by a fanboy. 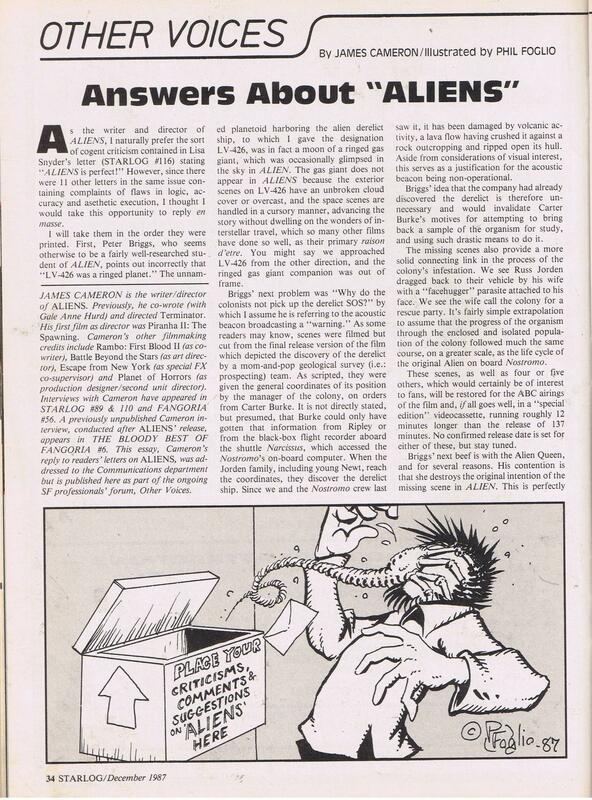 That cartoon on the first page of James Cameron’s Answers About Aliens letter is priceless (“Place Your Comments, and Suggestions on Aliens here” *boing*). It cracked me up.